Custodian of Records for the Greater Orlando Aviation Authority. Please tell us what you think about our airport, our web site, or anything else concerning your experience at our airports. We welcome all of your comments and suggestions. What aspect of the airport has prompted your feedback? 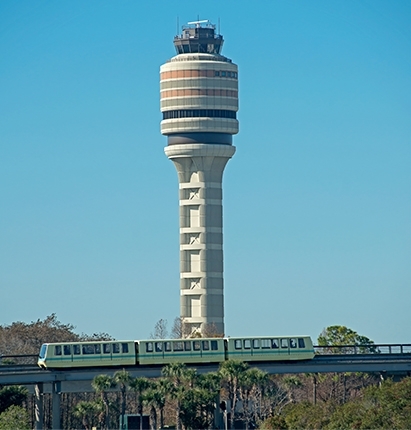 MCO Travel News is a quarterly newsletter produced by the Greater Orlando Aviation Authority Marketing department. We hope that you find the content relevant, interesting and timely, but if we don’t include the information that you would like to see, please let us know. If you choose to subscribe your email address will not be used for any other purpose, nor shared with or sold to any other organization. The Greater Orlando Aviation Authority (GOAA), which is responsible for the operations of Orlando International Airport and Orlando Executive Airport, is committed to the highest level of integrity in its operations and it is fully committed to protecting the organization, its operations and its assets against fraud, waste and abuse. GOAA is taking a proactive stance against suspected fraud, waste or abuse of Authority resources by establishing a third-party Whistle-Blower Reporting Line as a means to report any of the above activity in connection with GOAA operations. Reports may be submitted 24 hours a day, toll-free by calling 1-866-773-3022. You may also submit a report by emailing report@GuardianWhistleBlower.com or through the online reporting form by visiting GuardianWhistleblower.com. If this is an airline related matter such as lost or damaged luggage, flight status inquiry, request for wheelchair assistance, or other airline specific related question, please contact your airline directly.